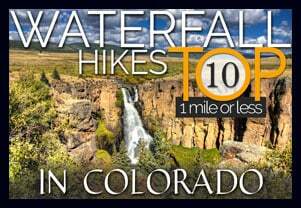 Can you think of a more mysterious name for a hike? 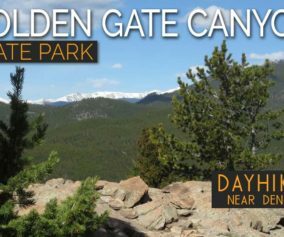 Colorado’s Golden Gate State Park has many trails, and the Forgotten Valley is a great place to start discovering this gem that is tucked between Golden and Boulder, Colorado. 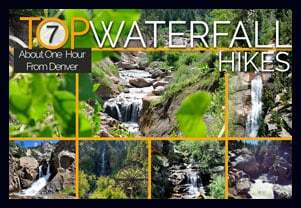 Get all the details on hiking the Forgotten Valley by scrolling down to the hike snapshot and hiking tips below. 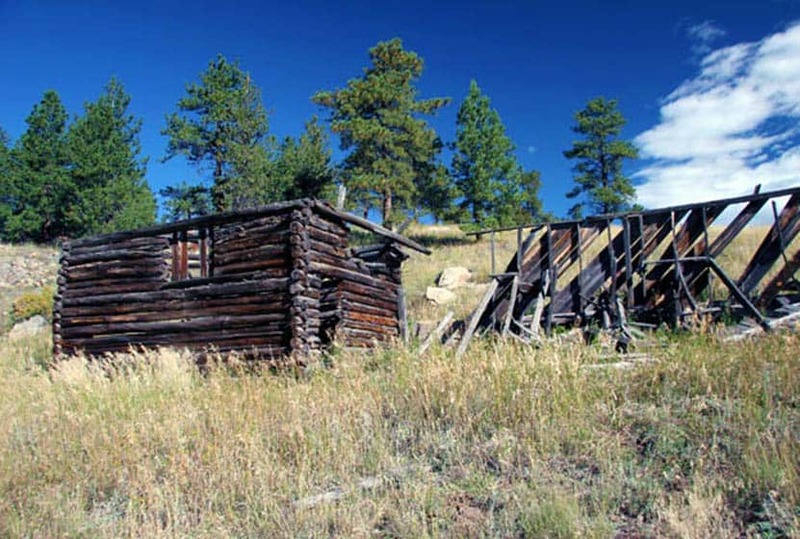 The Forgotten Valley in Golden Gate Canyon State Park is a step back in time.This day hike near Denver takes you 1.5 miles to an old homestead complete with front porch views of the small lake that sits in the bottom of the valley. From the Bridge Trailhead, take the Burro Trail for approximately 3/4 of a mile to where it intersects with the Mountain Lion Trail. 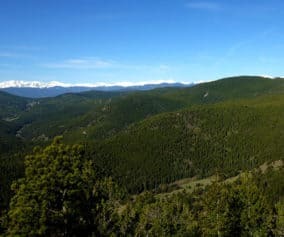 Turn North (Left) on the Mountain Lion Trail, and follow that for about 3/4 of mile to Forgotten Valley and the Tallman Homestead. The pond in the valley is stocked by the division of wildlife. 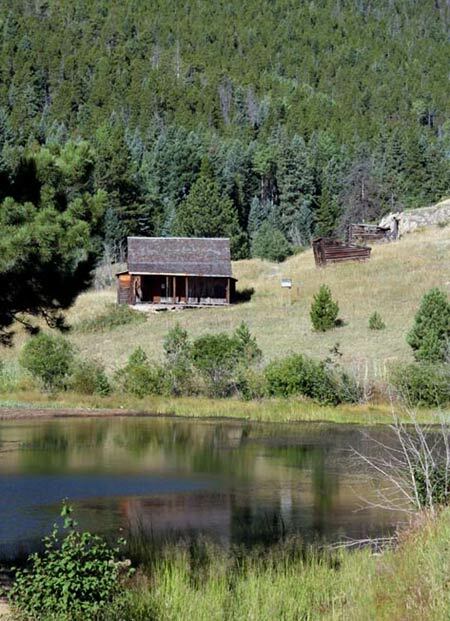 We want to thank Kenny Chaffin for his photo of the Tallman Homestead. You can view more of his Denver area photos here. 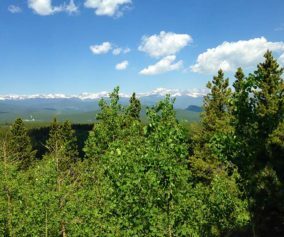 TIP: Pick up a Trail Map at the Golden Gate Canyon State Park Visitors Center. TIP: Parking at the Bridge Trailhead is very limited, so go early. 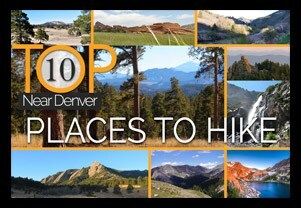 TIP: There are some great options on this hike. 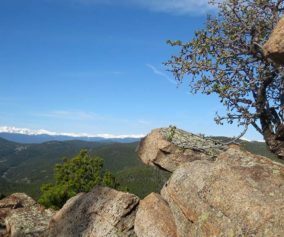 Grab a Trails Illustrated Boulder/Golden Map and hike to the top of nearby Windy Peak or hike the entire Mountain Lion Trail Loop.